We are also sharing the next dispatch (below) that HRW put out yesterday. More is in the works. 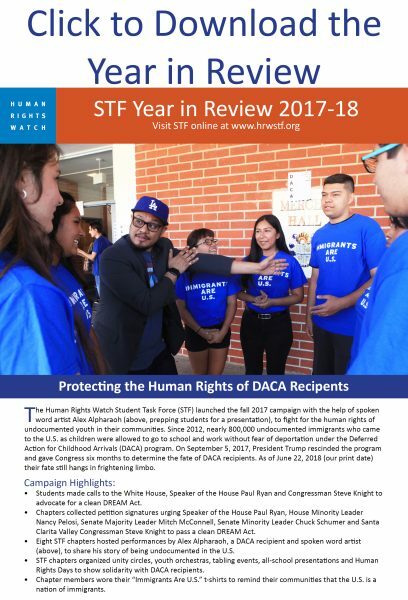 In addition HRW colleagues are spending a lot of time getting our perspective out in the press, working very closely with a range of other terrific groups (a few mentioned in Mike’s pieces), and, with HRW DC advocates, advocating in Washington. 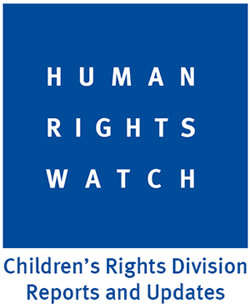 We encourage you to follow us on social media (@MichaelBocheck @Clarachka @HRW @ZamaHRW @JoBeckerHRW) for more regular updates. “Whatever” seems to be what they’re aiming for, judging from my time interviewing children and their parents in McAllen, Texas. There are no specific services for kids at US Customs and Border Protection (CBP) detention facilities there – both the short-term holding cells known informally as the “freezers” because they are kept so cold and the larger processing center. No recreational areas, no place to run around and play, and no toys or books of any kind. “We’re not set up as a child care facility,” a CBP official told us. 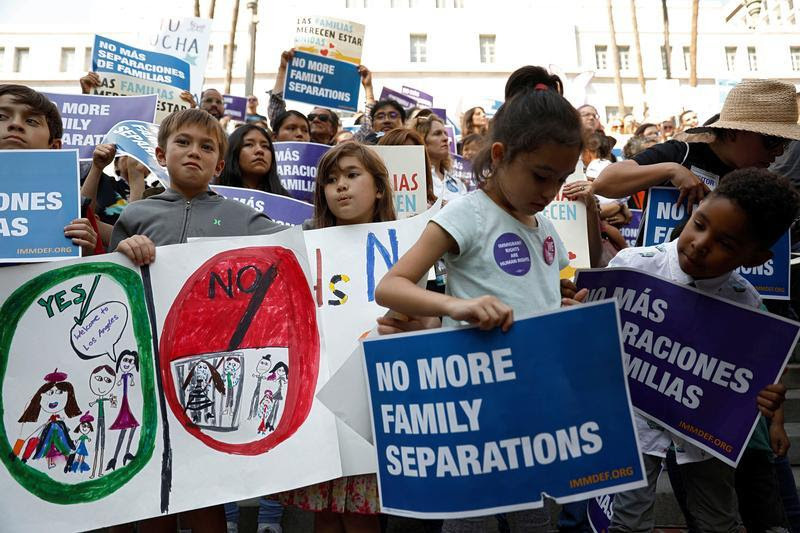 These are intended to be short-term detention facilities: federal law requires CBP to transfer unaccompanied children to the Department of Health and Human Services “not later than 72 hours” after authorities know they’re separated from their parents. But three days alone is a long time for any kid. Consider the five-year-old boy I met on Friday. He’d been sitting in a caged area for nearly a day with older children he didn’t know; nobody told him where his mother was or what would happen to him. 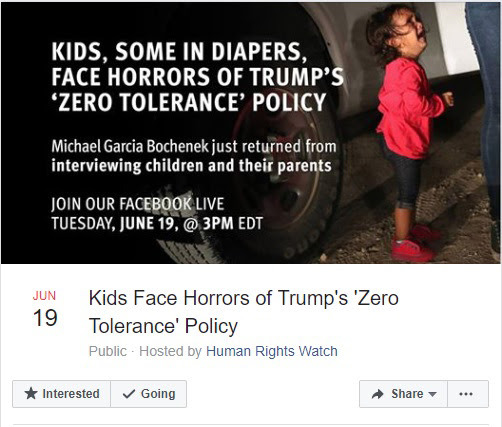 Now that CBP is effectively running day care for kids too young for grade school, you’d think they might at least bring in staff with the skills to look after children. But as I sat in CBP’s Ursula processing center most of Friday, the only staff I saw were uniformed agents, one or two assigned to watch over four to six pens each holding 20 to 30 children. Some of these kids aren’t out of diapers. When Michelle Brané of the Women’s Refugee Commission checked in on a girl estimated by CBP to be 2, she discovered that a group of teenage girls had been taking turns caring for her for three days. She said that CBP officials had done nothing more than check off the girl’s name at roll call. President Donald Trump has all but admitted he’s using family separation as a negotiating tactic to get immigration legislation he wants. That’s reprehensible. Kids shouldn’t be used as political pawns. And “whatever” isn’t an acceptable policy response when the government separates children from their families.